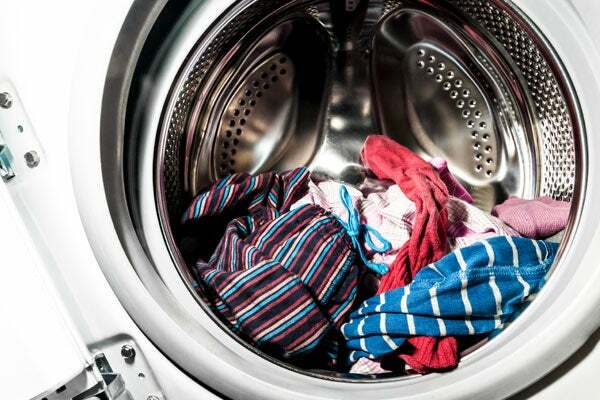 Is Washing Your Clothes Putting Plastic On Your Dinner Plate? Yep. Recent research has found that of the billions and billions of microscopic plastic particles polluting our beaches and oceans, a large percent of them are the fibrous forms of polyester, acrylic and nylon that come off your dirty laundry. Almost impossible to remove after they spill into the seas, these potentially harmful fibers have worked their way into the water supply, the food chain, and your sushi – making synthetic clothing even grosser than you thought.